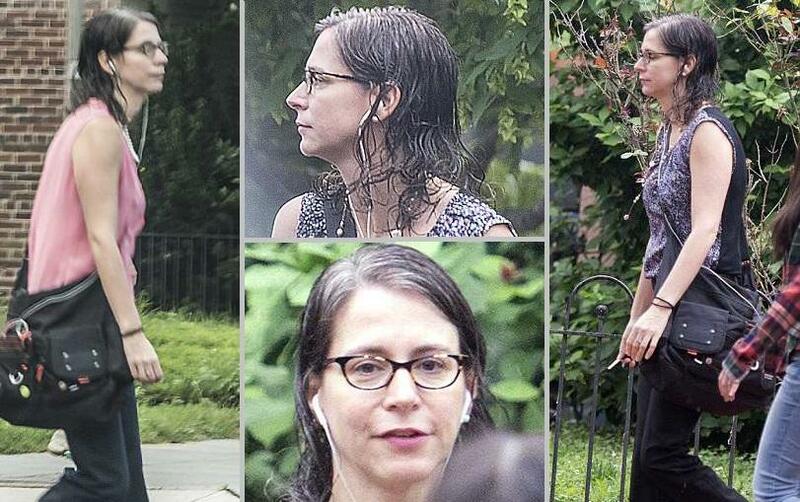 A recently unmasked FBI agent who worked on the Clinton email investigation and exchanged anti-Trump text messages with her FBI lover and other colleagues has been pictured for the first time by the Daily Mail. Sally Moyer, 44, who texted ‘f**k Trump,’ called President Trump’s voters ‘retarded’ and vowed to quit ‘on the spot’ if he won the election, was seen leaving her home early Friday morning wearing a floral top and dark pants. Moyer – an attorney and registered Democrat identified in the Inspector General’s report as “Agent 5” is a veritable goldmine of hate, who had been working for the FBI since at least September of 2006. When Moyer sent the texts, she was on the “filter team” for the Clinton email investigation – a group of FBI officials tasked with determining whether information obtained by the FBI is considered “privileged” or if it can be used in the investigation – also known as a taint team. 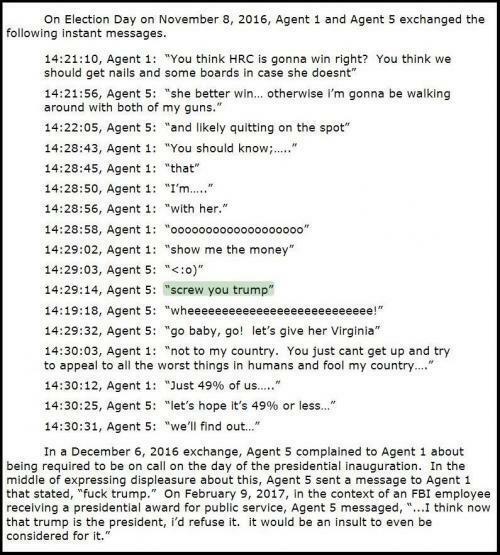 Moyer exchanged most of the messages with another FBI agent who worked on the Clinton investigation, identified as ‘Agent 1’ in the report. “Agent 1” who is now married to Moyer, referred to Hillary Clinton as “the President” after interviewing the Democratic candidate as part of the email investigation. Another FBI official, Kevin Clinesmith, 36, sent similar text messages. A graduate of Georgetown Law, Clinesmith – referred to in the Inspector General’s report as “Attorney 2,” – texted several colleagues lamenting the “destruction of the Republic” after former FBI Director James Comey reopened the Clinton email investigation. In response to a colleague asking he had changed his views on Trump, Clinesmith responded “Hell no. Viva le resistance,” a reference to the Trump opposition movement that claimed to be coordinating with officials inside the Trump administration. Two high-ranking FBI officials – Peter Strzok and his mistress Lisa Page, were discovered by the Inspector General to have sent over 50,000 text messages to each other – many of which showed the two harbored extreme bias against Trump and for Hillary Clinton. Like Moyer and “Agent 1,” Strzok and Page worked on the Clinton email investigation.